Finally a pop-up net that actually works! 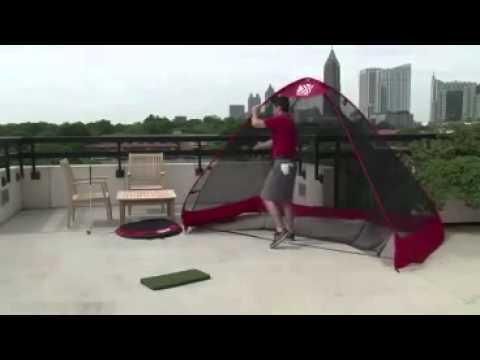 I pulled all of the pop-up nets from my site 18 months ago because they just didn’t hold up when golfers actually used them. They were difficult to put-up or take down, the fiberglass poles would shatter, or the netting was not commercial quality. Commercial grade netting – two layers!